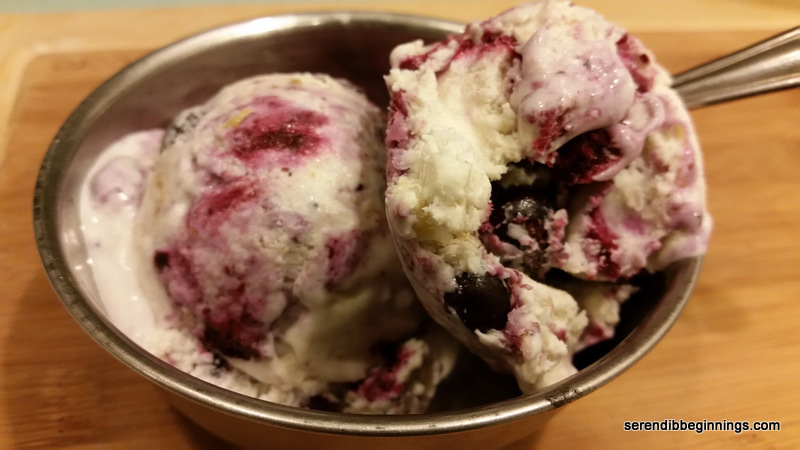 Blueberry season is winding down! This to me means two things…get to a u-pick farm FAST for several pounds of the blue gems and finding as many ways to use them up throughout the year as possible! Throughout the past several years, July has become the month of continuing our family tradition of picking blueberries at a local farm! I get all excited as soon the farms open for the season. I immediately start to think about how many pounds to pick so I have enough to freeze for the rest of the year. Usually, if we pick about 15 pounds or so, they last till about March or April. That’s a lot of picking! And perhaps that’s why my kids never get super excited about getting ready for this day! I guess the summer heat, rivers of sweat pouring down your back and all the patient work to pick the bluest berries could possibly make you a bit less excited! 🙂 But, to their credit, they always go with us, try their best to do their part, and even have a bit of fun! So, after couple of hours of sweating buckets in the scorching sun, we managed to pick almost 13 pounds, little shy of what I would have ideally liked! 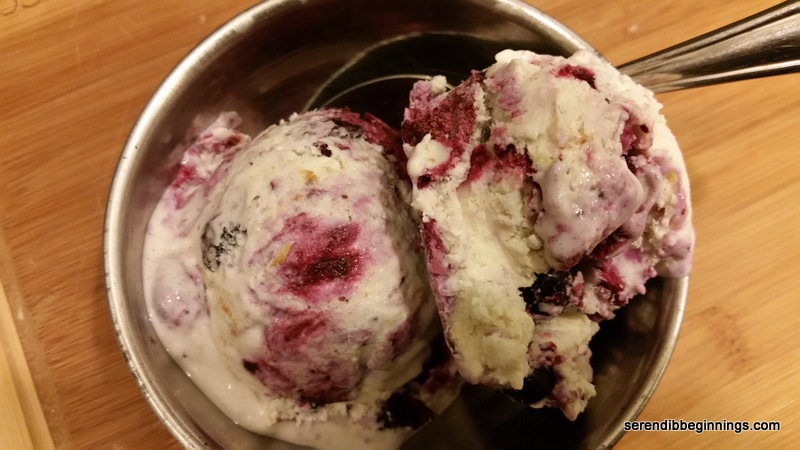 After sorting through, rinsing, drying and freezing most of the berries, I saved just enough to try hand at my first batch of ice cream – blueberry cheesecake ice cream, combining two of my favorite things! The original recipe is found on the Eagle Brand website. 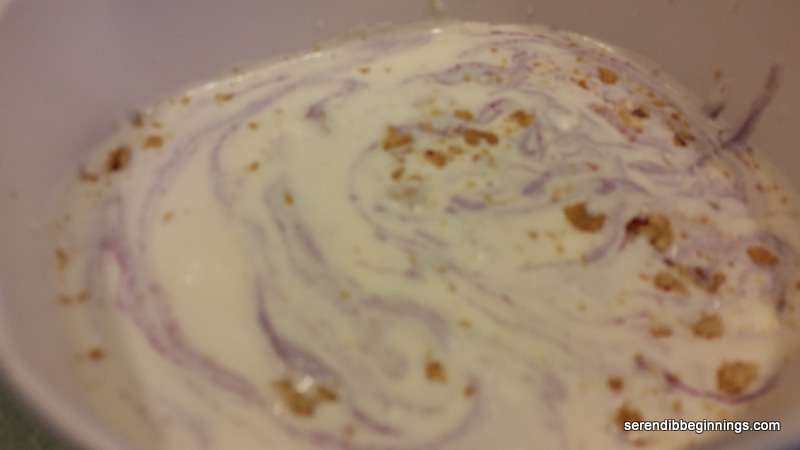 With couple of minor tweaks, including substituting bit of milk for some of the heavy cream and incorporating crushed graham crackers, the ice cream turned out to be quite something! Although the recipe called for at least 4 hours of freezing, mine didn’t quite freeze to an ice cream consistency at 4 hours. But that didn’t stop me from serving this as soft serve for dessert following dinner. It was delicious! I did have enough to let freeze all the way. Next day, it was perfect! You may need to let the container stay at room temperature for about 5 minutes to make it easy to scoop. This recipe is super easy to whip up! Literally! So, go ahead and give it a try! You will be happy you did! 1. 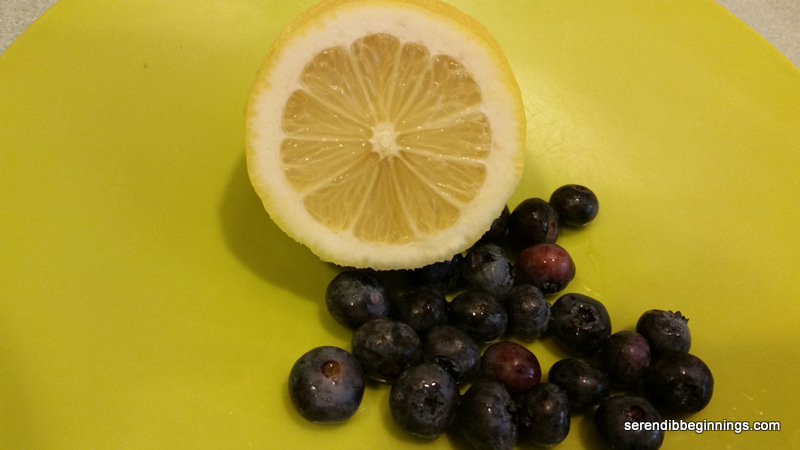 In a small pan, simmer blueberries, lemon juice and sugar till the berries start to burst. Continue to simmer for about 5 minutes till the sauce thickens a little. Remove from heat and let come to room temperature. 2. 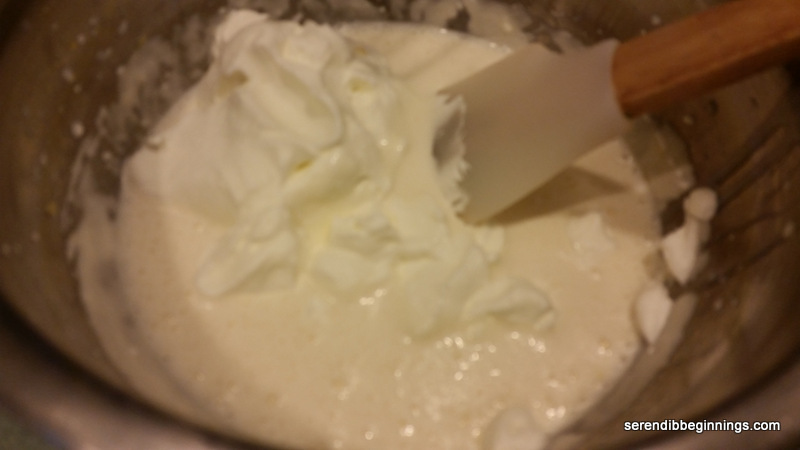 In a medium bowl, whip the heavy cream till stiff peaks form. Keep aside while you proceed to the next step. 3. 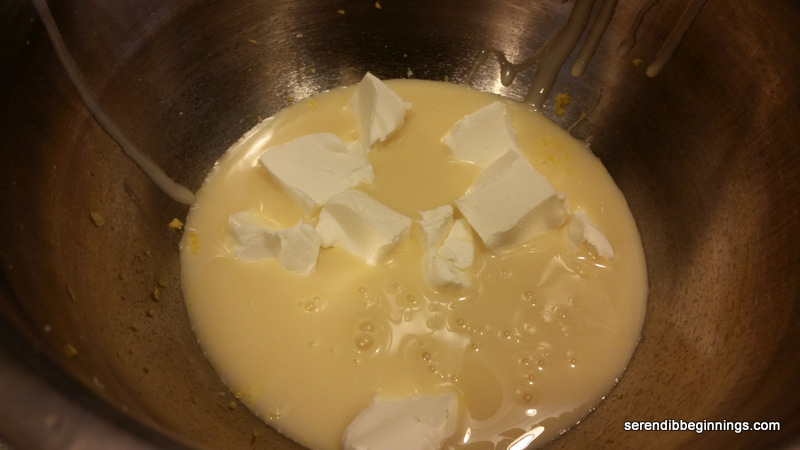 In another medium bowl, using hand held mixer, combine the condensed milk, milk and cream cheese till smooth. Add vanilla and the lemon zest. 4. Slowly incorporate the whipped cream into the condensed milk mixture. 5. Layer one third of the blueberry mixture into a plastic container (with a tight lid). Ladle in 1/2 of the ice-cream base. Sprinkle a tablespoon of crushed graham crackers. Now, gently swirl the two layers. 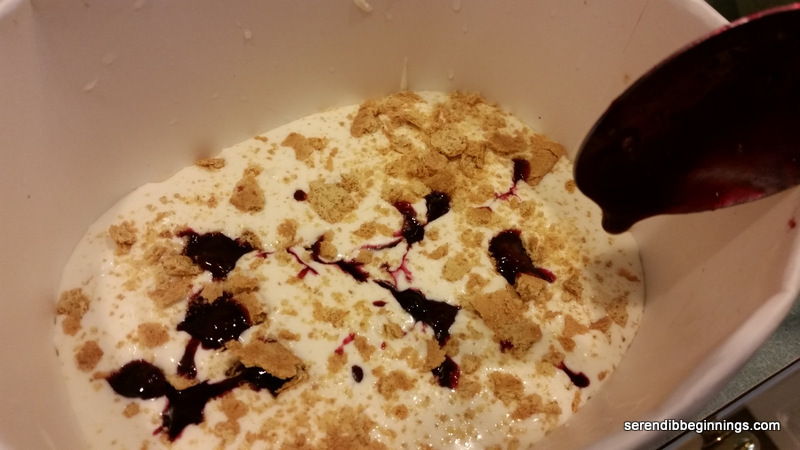 Repeat with the remaining berry mixture, ice-cream base and graham crackers. Cover and freeze till completely set. This will take about 4-5 hours. Serving tip: Let the ice-cream stay at room temperature for about 5 minutes to make it easy to scoop! 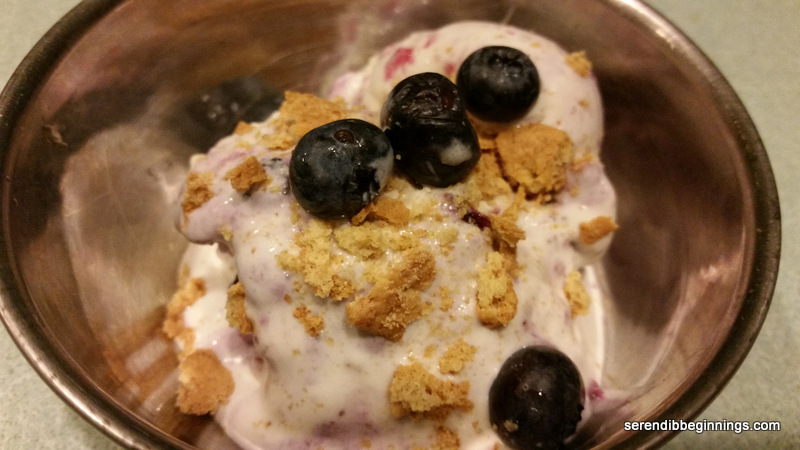 Serve with additional blueberries and a sprinkling of crushed graham crackers! It’s March! And that usually is characterized by GREEN! From Facebook posts, it is quite clear people are already enjoying their minty Shamrock shakes! So, when the thought for brownies came about, I wanted to combine chocolate and mint, but in a healthier unison! Avocados anyone? 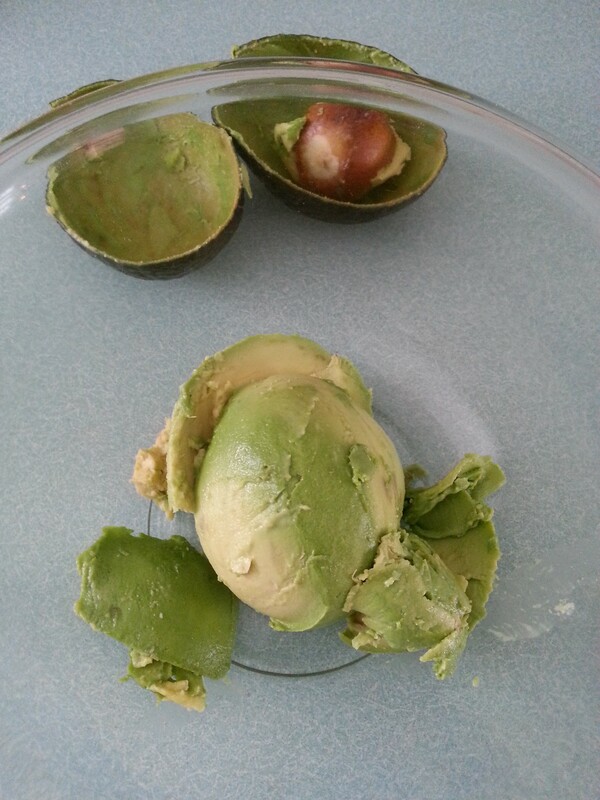 In many ways, I guess a good ripe avocado is nature’s butter! Or creamy milk substitute (gosh, can’t wait to try an avocado ice cream or froyo!). 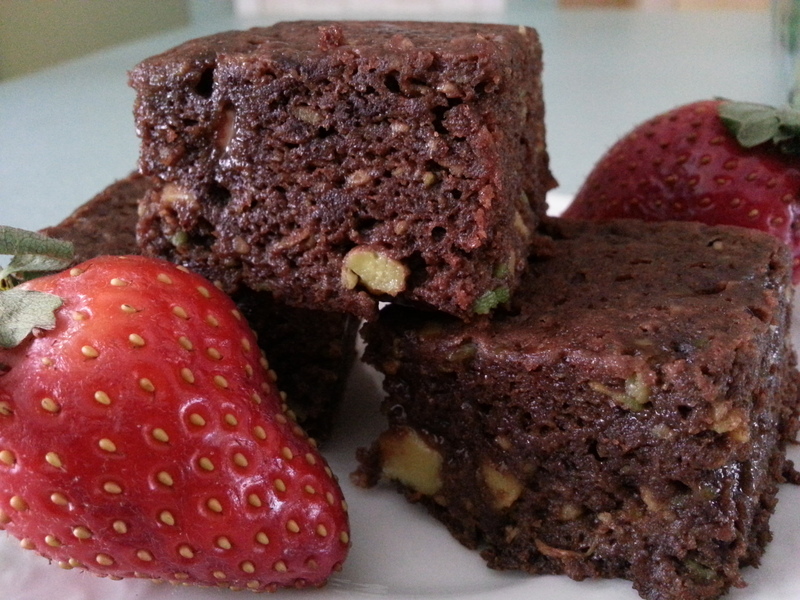 Since I had a perfectly ripe fruit tempting me to transform it into something even more divine than its natural indulgent self, I figured I would try out an avocado brownie recipe that I saw at http://www.kirantarun.com. So, that’s what I did! Avocados have a lot of the good fat – but they do pack some serious calories if you eat too much. This recipe that serves 8 uses one large avocado, so not bad. The only cholesterol that is in this recipe comes from a single egg used. Also, I replaced wheat flour with all purpose flour and ground flax. 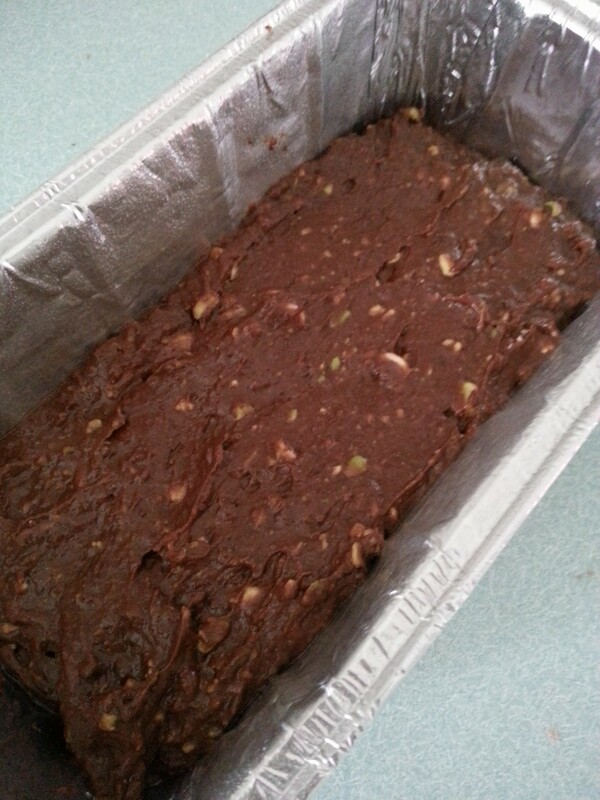 The end result was a very moist, soft, “choco-minty” brownie that prompted calls for seconds! Next time, I would like to add some chopped nuts (pistachios sound good) to add a bit of textural element. All in all, I think you will not be disappointed in this recipe. In fact you will probably have this as your go-to recipe when you run out of mint-chocolate chip ice cream! This is one of those recipes that definitely needs to find a place in the “guilt free indulgence” category! 2. Mash avocado until quite smooth in a medium bowl. 3. To this, add lightly beaten egg, mint extract and espresso mixture. 4. 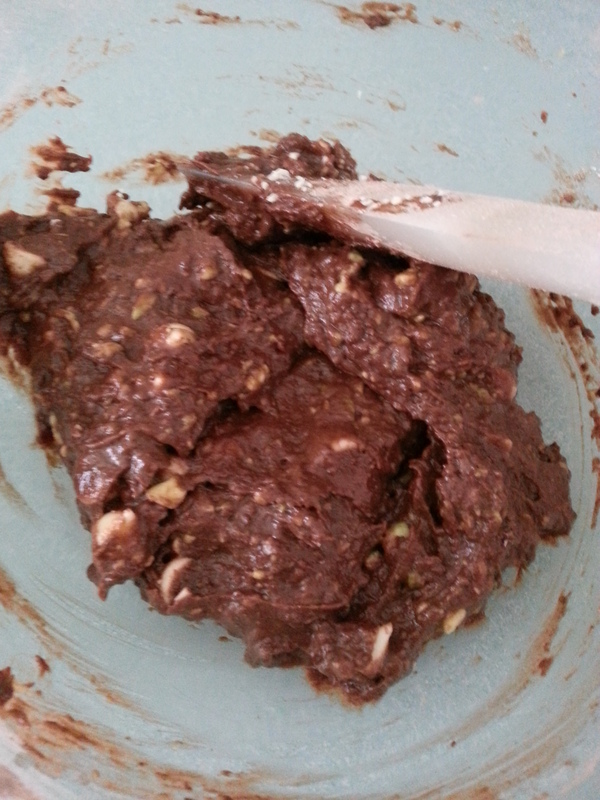 In a separate bowl, mix well the dry ingredients except chocolate chips and nuts. 5. 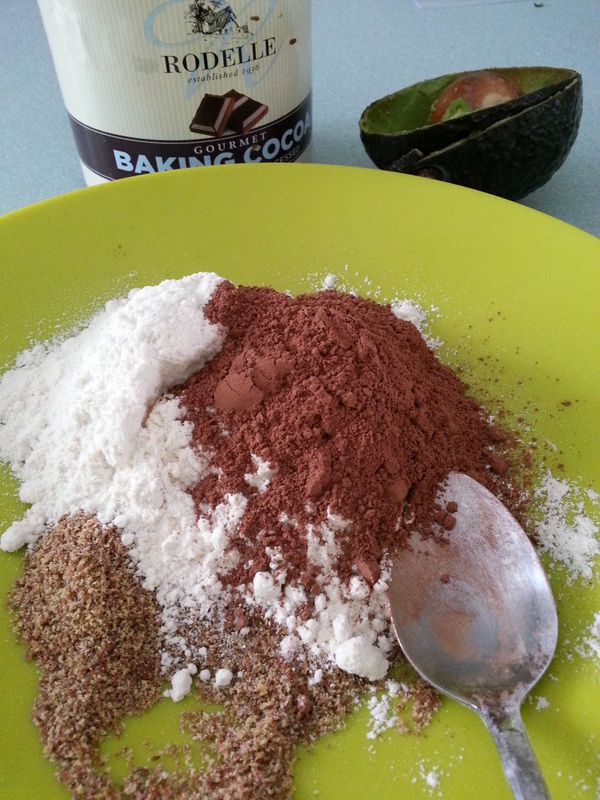 Gently fold in the dry ingredients into the avocado mixture. 6. Stir in chocolate chips and nuts, if used. 7. Scoop batter into a small loaf pan sprayed with nonstick cooking spray. Level with a knife or back of spoon. 8. Bake for about 25 minutes, till center tests done (toothpick test). 9. Cool in refrigerator and cut into eight squares, about 2″ wide. My love for flan, crème brulee, caramel pudding – whatever you call it- dates all the way back to my childhood. It was one of those treats we kids devoured no matter what else was around. Those days, I grew up eating the version made with tons of whole eggs, condensed milk and sugar. Using all those eggs and condensed milk results in a delicious “pudding” that is firmer and “sliceable”. Growing up, I remember my mom making this caramel pudding and slicing it up to serve. It had the decadence of a crème brulee with the satisfaction of relishing on a slice of cake. Mmmmm…. These days, since I am trying to cut down on carbs, especially sugar, I wanted to attempt a recipe that was not so calorific, yet satisfies the sweet tooth. I know I can NEVER give up on desserts. That to me is like depriving myself of oxygen – ok maybe not that desperate but close enough. Only thing that seems to work for me is finding lower calorie substitutes in my recipes. With that in mind, I attempted a flan recipe with low fat milk, lite coconut milk and some splenda. 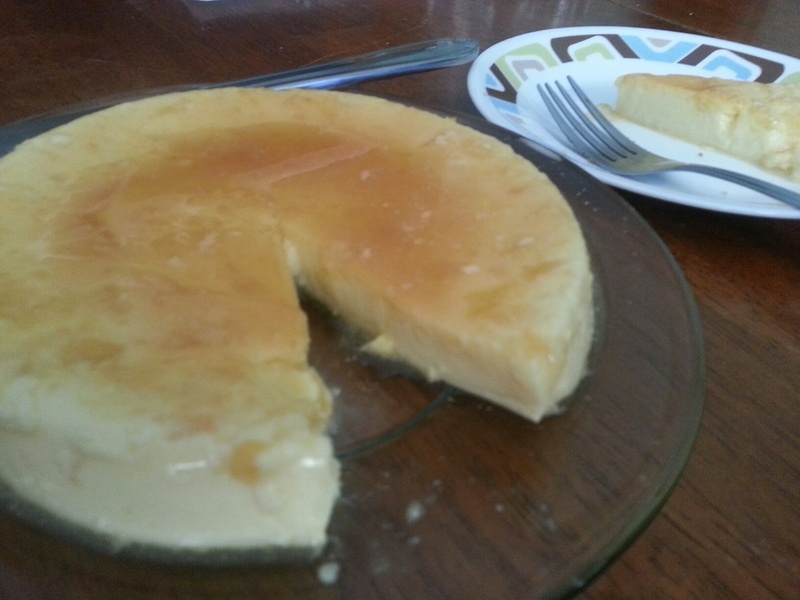 Since a light caramel sauce is a “must” for a good flan, I took the traditional route with regular refined sugar but reduced the overall amount of sauce. Lastly, instead of the traditional vanilla flavor, I opted for coconut pineapple combination for a tropical flair – to go with the balmy 50F in the middle of winter! 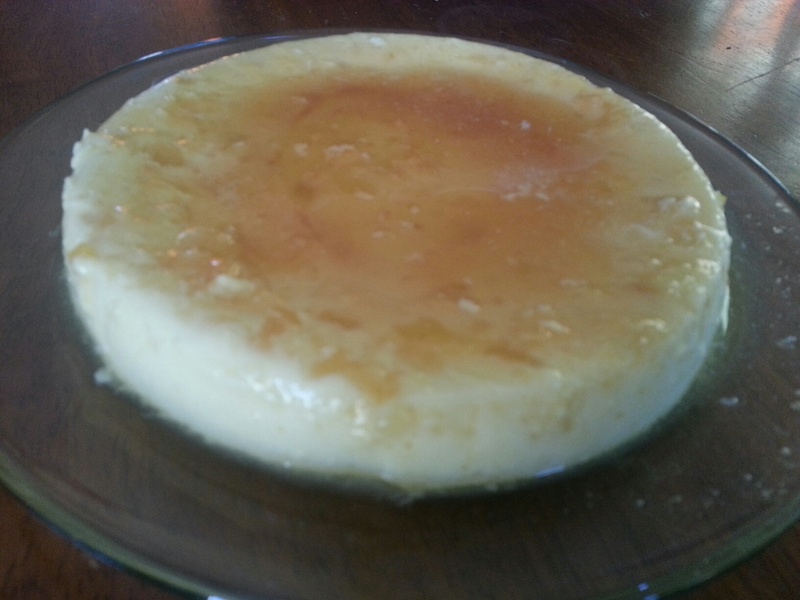 The resulting flan, crème brulee or caramel pudding – again whatever you want to call it- was velvety smooth, light and had a nice tropical flavor. Just what I was looking for! 2. 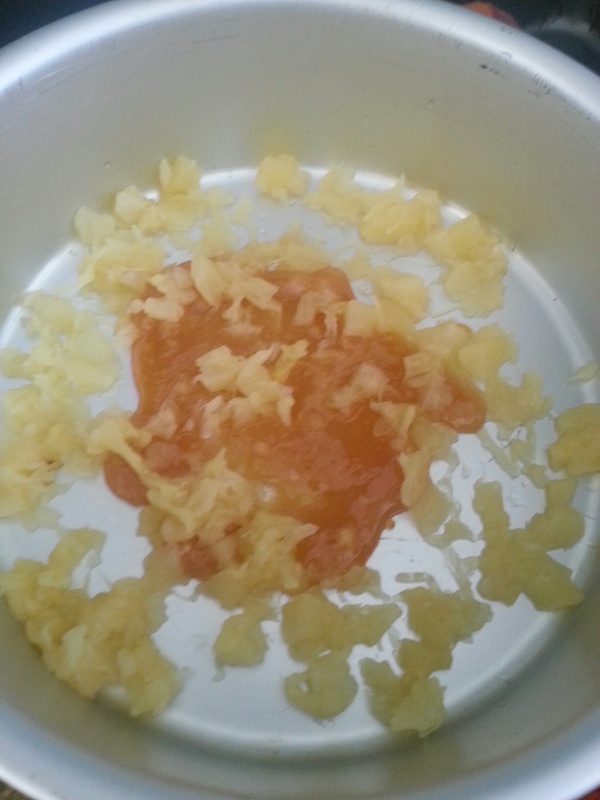 Prepare caramel by heating the sugar and water till sugar starts to caramelize. Make sure you don’t scorch the sugar. 3. Transfer the cooked caramel to a 6″ baking pan and sprinkle with crushed pineapple. Set aside. 4. Simmer 1% milk and coconut milk till tiny bubbles start forming around the edges. Do not boil. Add the rum extract. 5. Beat the yolks and whole egg lightly. Slowly add the milk to temper the eggs, being careful to add the milk in a steady stream while continuously stirring the egg mixture. 6. 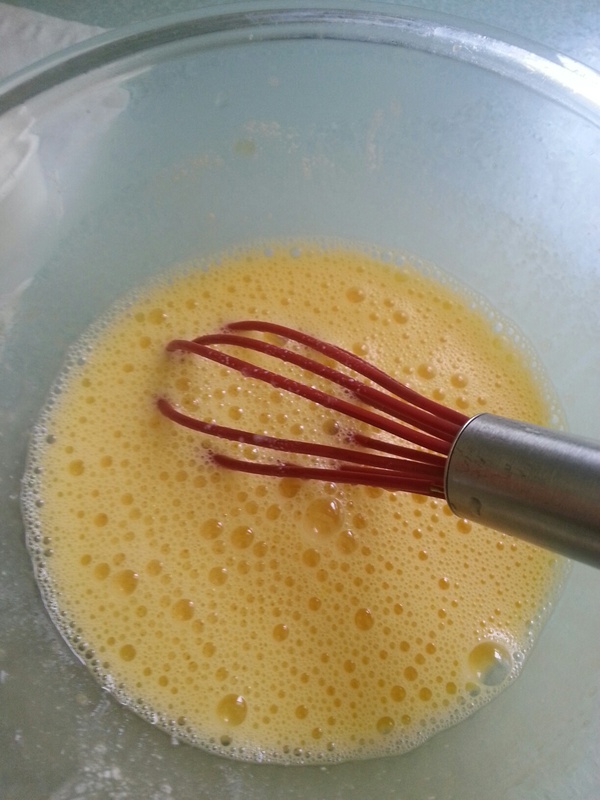 Add Splenda to the egg-milk mixture and stir to dissolve. 7. 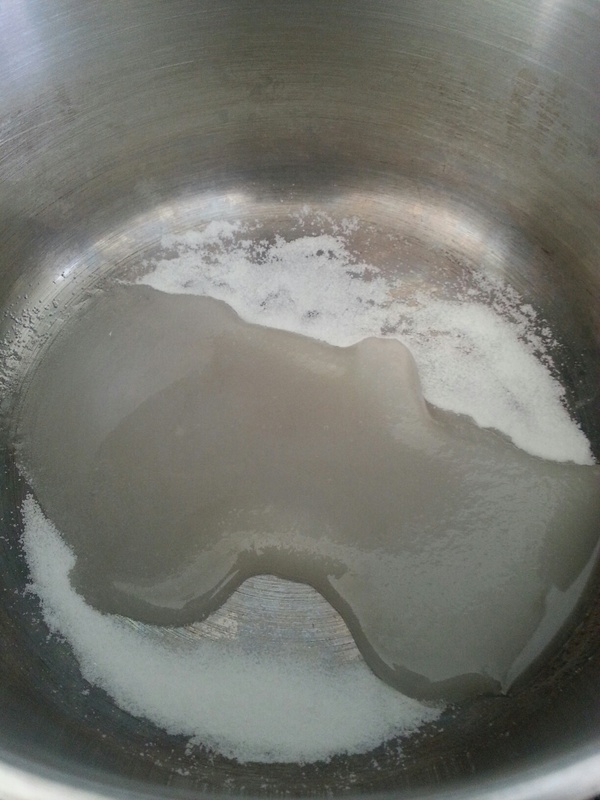 Strain the mixture to remove any bits of solids and transfer the strained liquid to the prepared dish. 8. Place a wet kitchen towel in a large pan (13″x9″). Place the 6″ pan with the flan mixture on the towel and place in the preheated oven. 9. 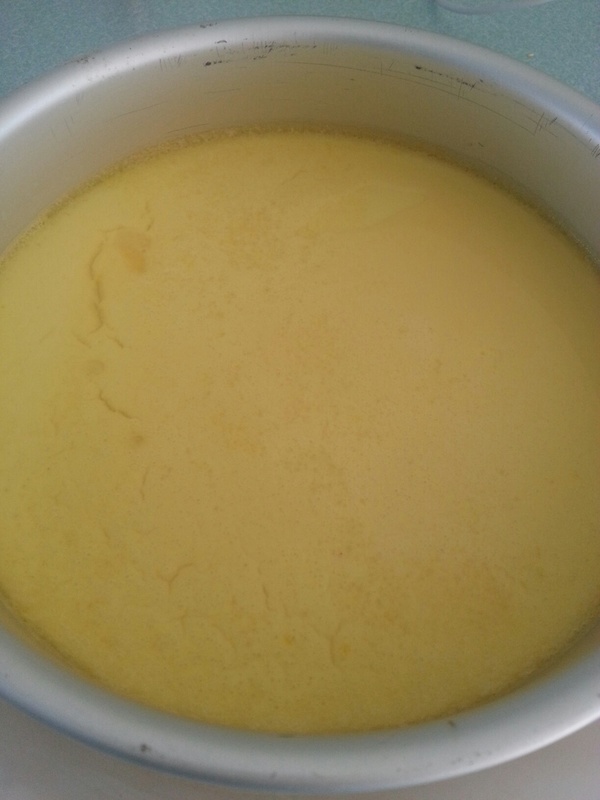 Slowly pour boiling water into the larger container, carefully avoiding the flan mixture. 10. Bake for about 45 minutes till the top looks set. 11. Once cooled to room temperature, carefully run a thin knife or spatula around the edges and invert the flan onto a plate. 12. Chill in refrigerator for 3-4 hours before serving.